Hey Baby 4D are opening a BRAND NEW private clinic in Mansfield! We are currently seeking an experienced Sonographer to work on a part time, permanent basis, starting as soon as possible. We are looking for a Sonographer who will promote a patient focused approach to care; ensuring all client areas are safe and fit for purpose. You will be required to undertake a range of duties using complex or sensitive information and will act as the patient’s advocate, maintaining their dignity at all times. 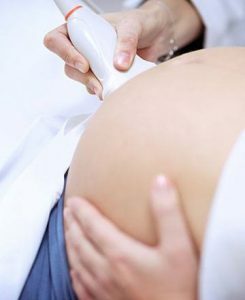 In order to be considered for this position, you must be an experienced Obstetric Sonographer with an expert understanding of Ultrasound practices and will ideally be registered with the HCPC (although Midwife Sonographers are very welcome). The successful applicant will demonstrate excellent verbal and written communication skills, coupled with a strong patient-centred approach. You must have at least 2 years’ experience working in a similar position, with available references. Due to the urgency of this role, we are only able to accept applications from qualified and experienced Sonographers with recent work history. You must be eligible to work in the UK.